Volumetric Dosers_Dongguan Hengju Machinery Equipment Co., Ltd. The modulized components can be disassembled easily and help with screws and sleeves alternation. The adopted hybrid stepping motor with can guarantee measurement accuracy. The motor drives directly with no gearbox. It sustain longer service life and it is maintenance-free. The microprocessor controller is easier for operation. The data memory chip can storage up to 50 recipes and operators can select the recipes easily. The dosing screws are chrome plated for better durability. 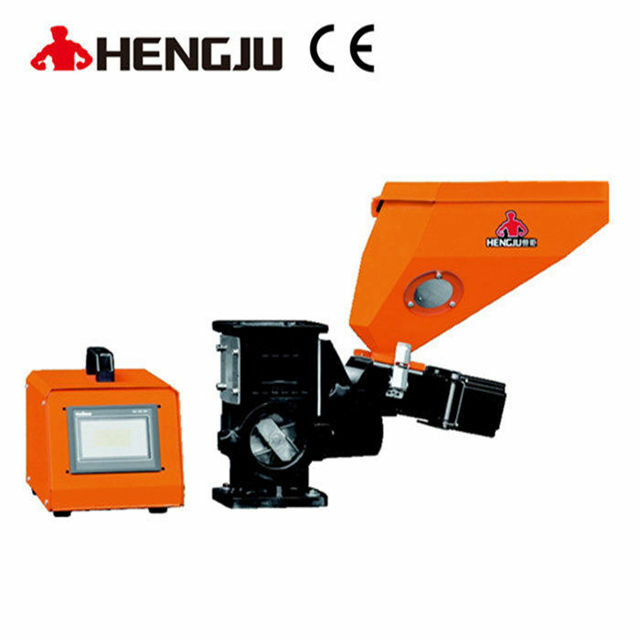 The dosing section can be removed without granulate leaking form the neckpiece. There is a viewer adopted on the side of the neckpiece.